♥ Designed and silk screen by Grizzy. 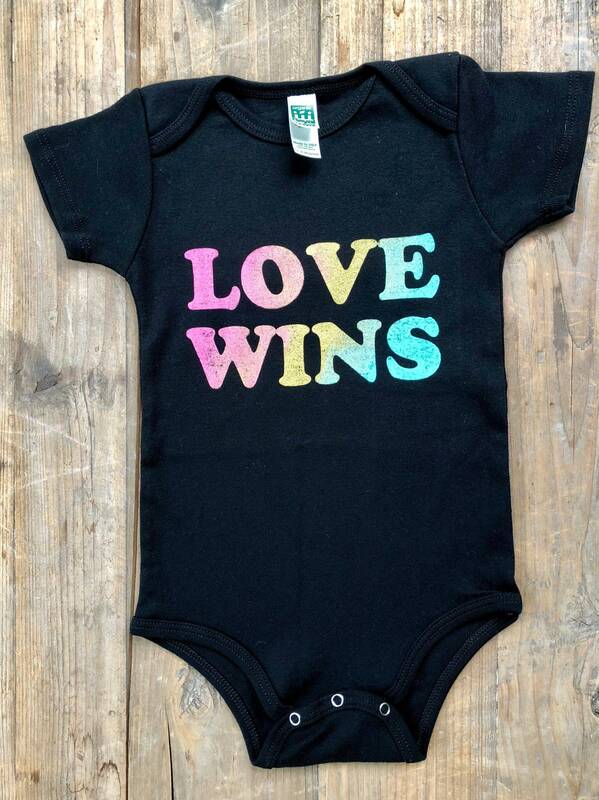 ♥ Printed using water soluble, eco-friendly inks on Organic cotton bodysuit/onesies. 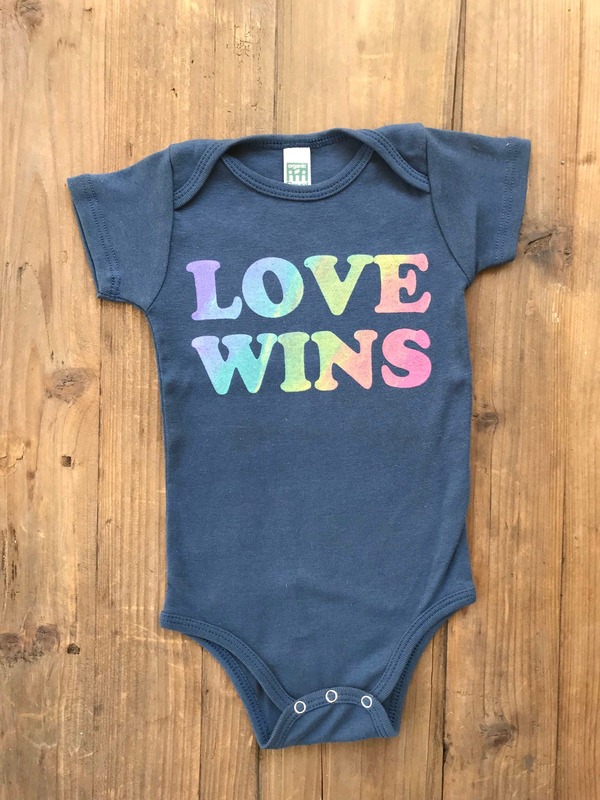 ♥ This bodysuit is your choice of black or slate blue with rainbow ombre colors. ♥ Please message me or leave a note with your order if you'd like a different color onesie.